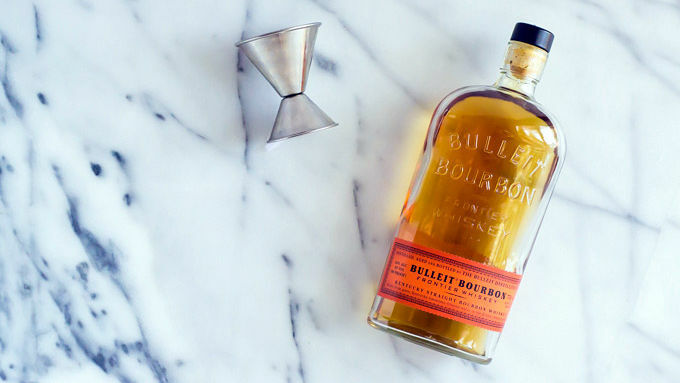 Add all ingredients but the bourbon to the blender and blend to combine. Add the bourbon and blend for a few seconds, just until incorporated. A little bourbon turns your smoothie into a happy hour treat. The older I get, the more I live in the gray. Is fibbing to my boss so terrible if I needed that extra hour of sleep for health reasons? Is it wrong to hide the last cookie from my husband if he’s watching his blood sugar? Are capri pants truly offensive? What, precisely, is the difference between breakfast and dessert? 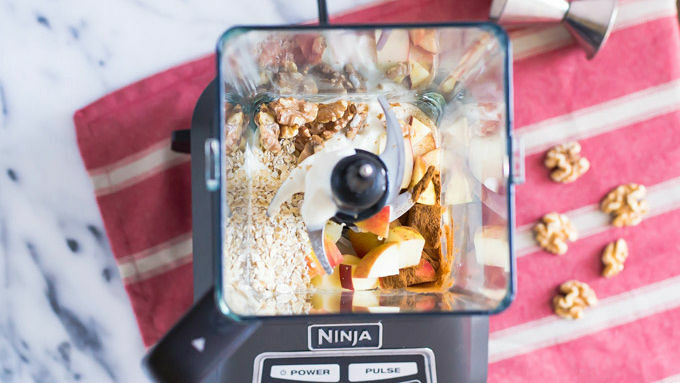 Today, let’s embrace ambiguity with a big slurp of Boozy Apple Pie Smoothie. Now, I’m not going to advocate that you throw back one of these creamy, apple pie-inspired, bourbon-spiked beverages before your next meeting. But I fully endorse them for happy hour, an after-dinner treat, or anytime you are looking for a satisfying dessert with a little less guilt. Without the bourbon, these Apple Pie Smoothies make a nutritious breakfast too. These Boozy Apple Pie Smoothies are a mix of creamy vanilla yogurt, fresh apples and the classic pie spice trio of cinnamon, nutmeg, and allspice. A few tablespoons of Chex Gluten Free Oats give the smoothies body and provide the “crust” factor. Walnuts add a deep nuttiness that reminds me of cozy fall days. Next up, what every self-respecting adult smoothie needs: Bourbon! Maybe you need a reward after a long day of apple picking. Maybe the bourbon just jumped off of the shelf and into your blender. This is a judgment-free space. Pour away. A quick blend later, and you have a lovely dessert filled with the warm, wonderful flavors of apple pie, minus the fuss of baking a pie crust. 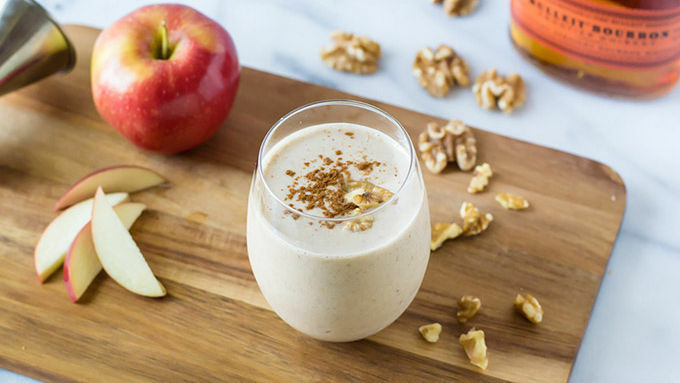 Nothing ambiguous about it: Boozy Apple Pie Oatmeal Smoothies are a creamy, dreamy gulp of fall in a glass. Cheers!